Panorámica creates a series of objects using Basalt Stone, commonly found in Molcajetes, a traditional mortar used to prepare the famous Mexican Salsas. 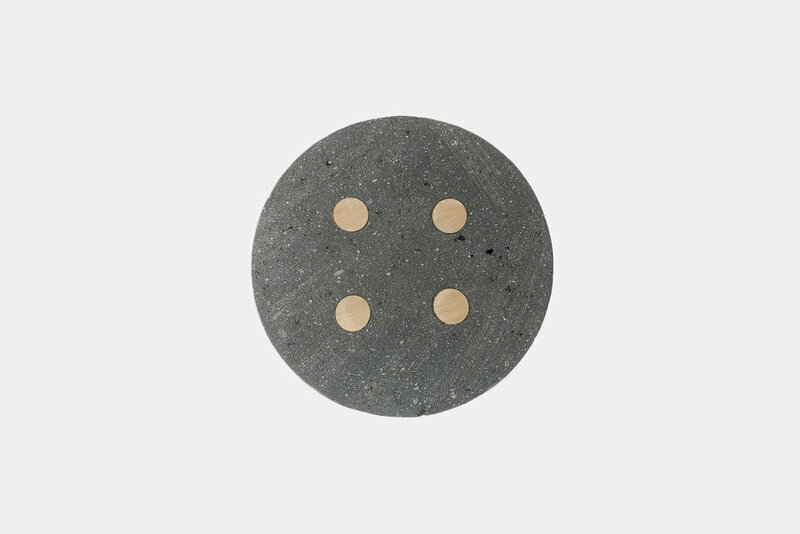 A small stool made of basalt and wooden legs with a basic construction, looking at a clear expression of the artisan’s hands through the materials. nono is an authorized distributor of this Panorámica product.